Proud of her man. 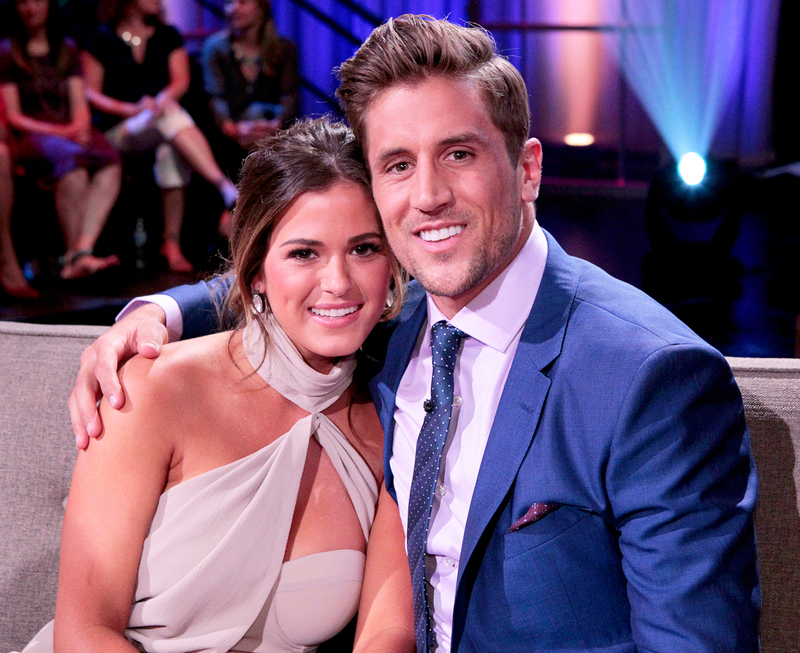 JoJo Fletcher cheered on her fiancé, Jordan Rodgers, on his first day of work as a college football analyst on ESPN’s SEC Network with a sweet Instagram message. The 25-year-old Bachelorette season 12 star shared an adorable photo of herself and the former NFL player, 27, from their recent surprise engagement party. PHOTOS: Where Are These 'Bachelorette' Stars Now? Rodgers also took to Instagram on Monday night to share the exciting news, posting a pic of himself looking handsome in a dark blue suit with two of his fellow sports broadcasters behind the news desk. Fun day back in the SEC, much easier without 100k screaming fans and giant angry men trying to kill me…but only slightly. Tune in to SEC NOW live tomorrow! As fans know, football is also a priority for Rodgers’ estranged older brother, Green Bay Packers quarterback Aaron Rodgers. Us Weekly exclusively revealed earlier this month that Aaron’s girlfriend of two years, Olivia Munn, is at the center of his family feud. The 36-year-old actress and model “has a strong personality, and every meeting she has had with [the family] has gone badly,” a source told Us at the time.